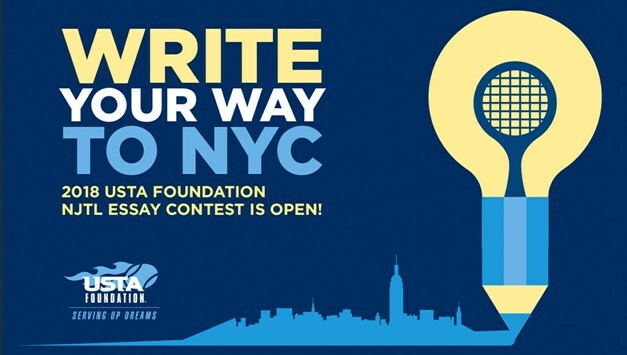 Submit your USTA Foundation NJTL Essay to RCTA before the deadline on June 25. EVERY ONE of the young tennis players we've touched in Rockingham County is eligible to to write a short paragraph about tennis to enter the USTA Foundation NJTL Essay Contest. Age Groups for girls and boys are: 10&Under, 11-12, 13-14, 15-16 and 17-18. A NC essay winner in each age/gender category will win a free trip with a chaperone to attend the Winston Salem Open ATP World Tour 250 Event at the Wake Forest Tennis Center. TEN WINNERS from across the country, will take a chaperone with them on an all-expenses paid trip to New York City for the US Open. What's the essay question, you ask? Here it is. "What is the most important lesson you have learned thus far through NJTL (playing tennis with RCTA), and how does that lesson help you in your life as a student, a tennis player, and an individual?